Stay tuned for new designs from my end to celebrate this cheery and beautiful season! I have a number of free patterns in the works, and I can't wait to share them with you. If you have any requests for designs that you'd love to see, you are more than welcome to write to me and let me know! I love getting pattern ideas! For now, here is a mini roundup of my Springtime designs. You can click on the link below to navigate to the pattern page. Happy crocheting! 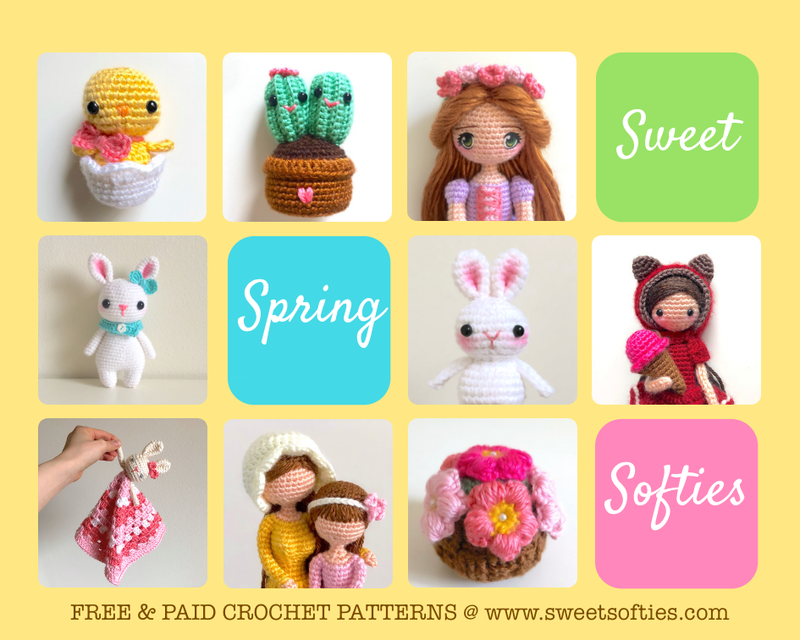 Some of these patterns are for the Easter holiday or Mother's Day, and others are just perfect for Spring in general! Hope you will enjoy these patterns! As always, feel free to share this post with a fellow crocheter~ Let's keep spreading the joy! What can I make with this Yarn?